I really like shopping and buying new clothes. Even better? If the clothes have cats on them! 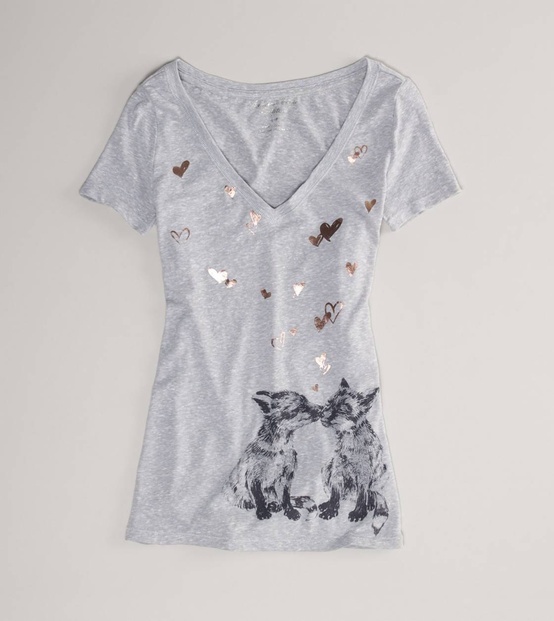 So naturally, when I saw this shirt in American Eagle Outfitters tonight, I had to buy it! This shirt retails for $19.99. 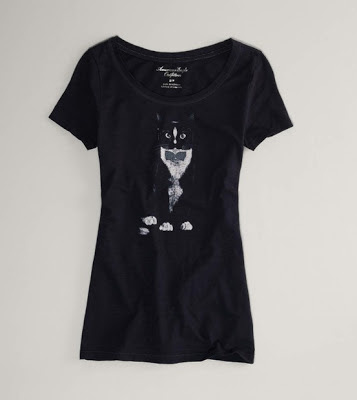 I just had to share this awesome graphic cat tee with you! I can't wait to wear this out and show my cat pride. This shirt retails for $19.99. There is a current promotion for buy one tee, get the other 50% off. Nature's Variety Instict Raw Boost Kibble Review & Giveaway! Today I have a cool giveaway for FOUR lucky winners! 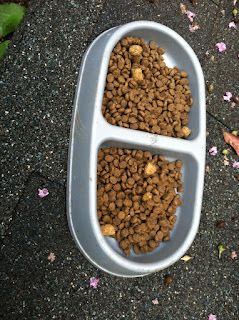 Nature's Variety let me review their new Instinct Raw Boost kibble in their chicken meal formula. 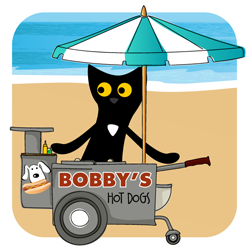 According to their website, the food is grain and gluten free, helps with maintaining cat weight, has freeze dried raw coating for great taste and nutrition, formulated for rotation feeding and is perfectly acceptable for all life stages and all breeds! 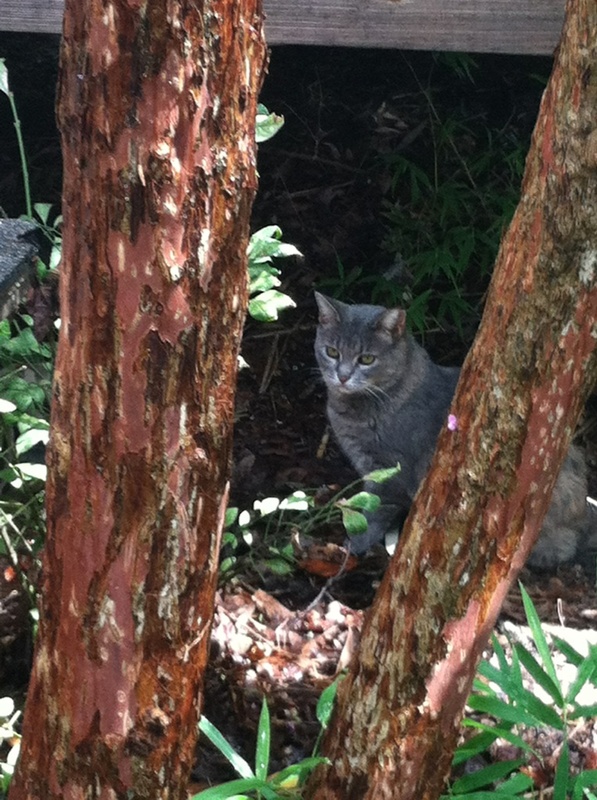 For my review testers, I fed the kibble to the feral cats at our local university. 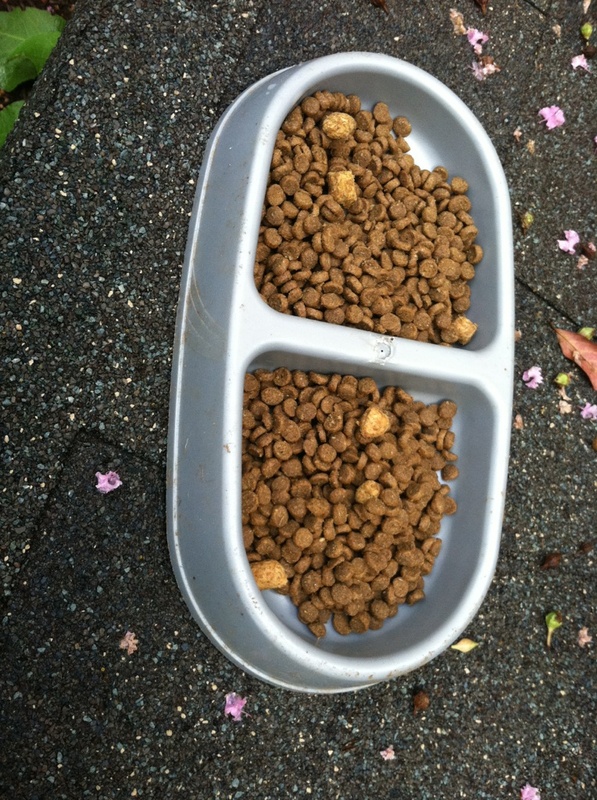 My mom and I help feed them, and we thought that this kibble would be a delicious treat for them. 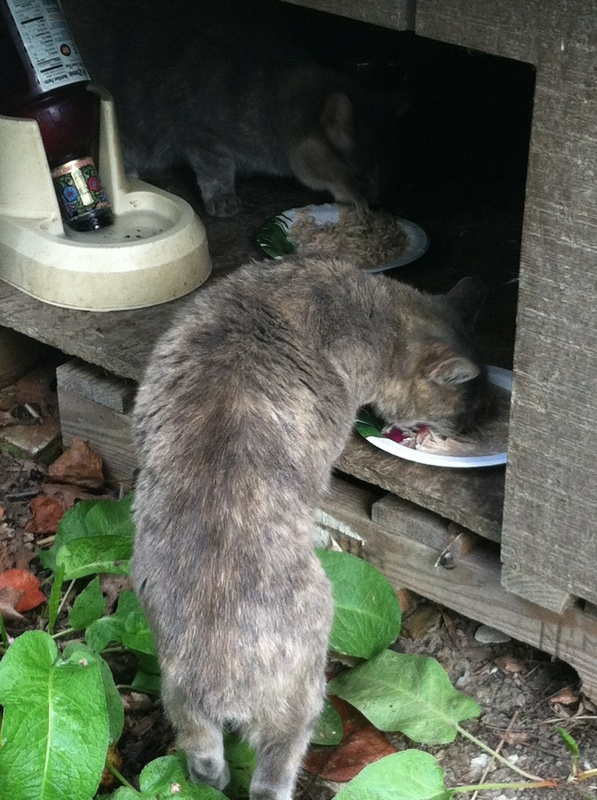 Annie (front) and Catnan (behind) chowing down. The kibble in Annie and Catnan's bowl. Verdict? Annie and Catnan think this food is very nommy and they can't wait to get another taste again! Thank you all for entering! The four bags have been claimed. 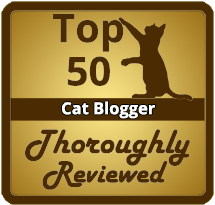 Thank you to my readers for helping make this giveaway be successful! For the giveaway, the first FOUR people who comment will get a FREE bag of the Nature's Variety Instinct Raw Boost kibble! GO! Please leave your email, or your entry will not be counted. I will post when the giveaway is closed. 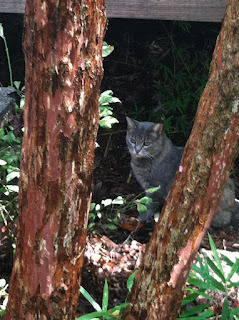 Today is the second blog post of the day, and the second year I have celebrated National Feral Cat Day! I wrote a short post last year, about NFCD on October 16, 2011. 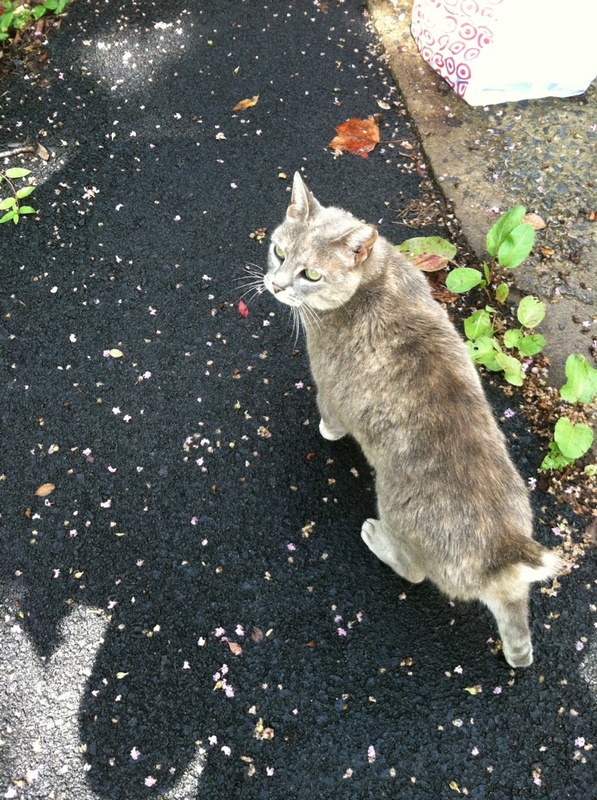 Alley Cat Allies. 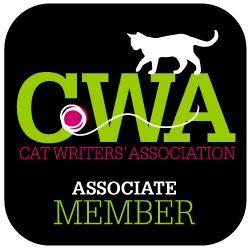 is a great organization that, according to their website, is the only national advocacy organization dedicated to the protection and humane treatment of cats. NFCD was created ten years ago by Alley Cat Allies, to promote care for feral cats. 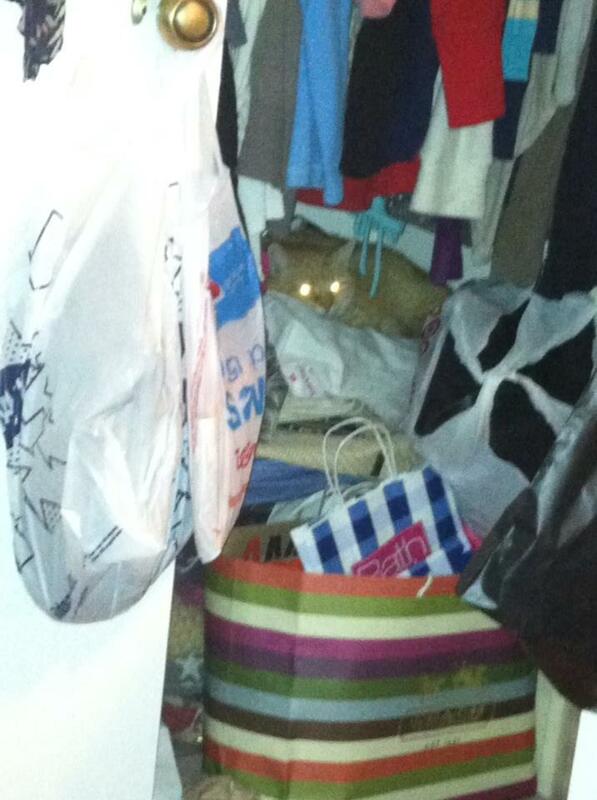 Vickie on 10/12/12 in my closet. I know exactly how I will be celebrated NFCD! 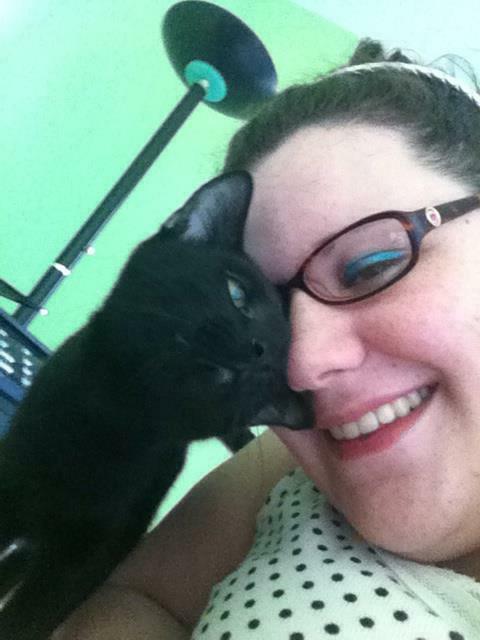 By cuddling with my former feral cat, Vickie. Vickie is special because she came to our rescue after having five kittens. For seven years, we had her daughter May with us (May recently went to the rainbow bridge, and we miss her very much). We adopted Vickie -- after fostering her for three months and barely being able to coax her out of the basement. She was so feral and so scared! 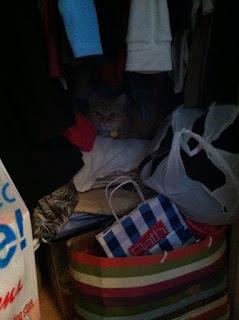 Now she will hang out with us, sleep with us, sit on our laps, open bathroom doors and even sleep in my closet! Vickie on 10/11/12 in my closet. She came so far from being loved my family. And even though she needed to have her teeth removed because of her bad gum disease, she is still able to eat dry food and treats! 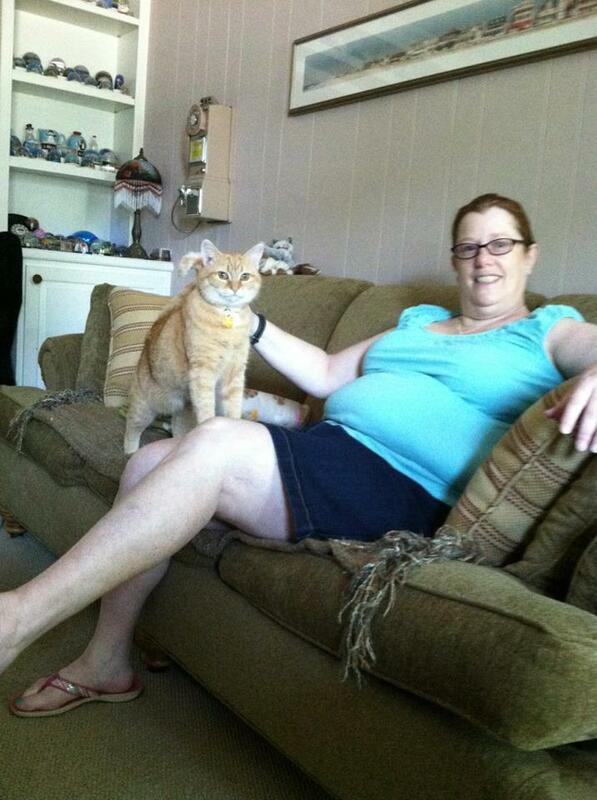 Though her favorite treat of all is being brushed by my mom. 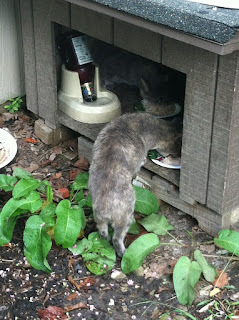 So you know how I am celebrating National Feral Cat Day? How are you? Leave me a comment and tell me! This post is coming to you about fifteen minutes late - it has just been one of those days. I could make up lots of excuses (trust me, I do have some) but I'll just get on with my post, because Piper would not approve me elaborating >^..^< silly cat! Like in my past April and July posts for Blog the Change, animal rescue is something I hold near and dear to my heart. If I hear someone having a discussion with with a person, and they are talking about their cats having kittens, incorrect facts about cats, not having a spayed/neutered cat, declawing, etc, I feel obligated to interrupt and give them my opinion. Why? It's because I'm hardwired that way. My passion for animals goes above and beyond saving lives -- I want people to be educated about HOW the shelters are overflowing with cats because people can't seem to get the simple idea of spaying/neutering. Today's post is to share that I want people to understand why it is necessary to spay and neuter their pets. 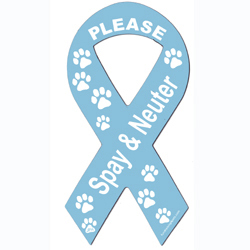 Anytime you educate someone about spaying and neutering, YOU send the message on. YOU are making a difference is saving animals. YOU are the change that is needed.